The sites have previously been utilised as bus depot sites for PUTCO, whose busses play an integral part within the transport networks of these regions. With the subsequent rapid expansion of the townships, these sites now find themselves ideally-placed within the heart of the bustling residential areas that their busses have always served - with both sites enjoying direct access off major transport arterials. Realising the latent value of these sites’ location, Putprop called for development proposals from a number of retail developers in August 2018. Following an exhaustive adjudication process, McCormick Property was chosen as the preferred development partner with whom Putprop will undertake these developments. 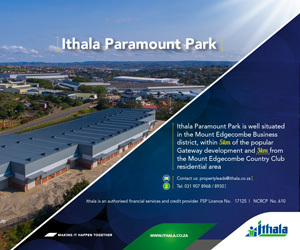 Both development sites were granted full retail rights prior to the signing of the agreement with MPD and allow for the development of 25,032sqm GLA on Dobsonville (Soweto) and 25,306sqm in Mamelodi. MPD will attend to the development planning, leasing and project management of both developments. Exemplar REITail Limited has been appointed to provide asset and facilities management services to both malls upon completion of construction. The Mamelodi site will see its bus depot transformed into an enclosed mall that will maximise its supreme location within the heart of Mamelodi’s more established and wealthy suburbs, creating a nexus of convenience and community directly off the main arterial of Tsamaya Road. Both sites have commenced leasing already with construction expected to commence in 4Q2019 in Mamelodi (to open in 2020) and Dobson Place to be complete by 2021.